Hanna was almost 15 when doctors discovered a tumour, the size of a rugby ball, growing on her liver. Hanna underwent nine courses of chemotherapy, two operations and was in hospital for six months. When she was allowed home it was only for a few hours and, “all I wanted to do was go back to hospital. I felt safe there. At home I worried I would get an infection or fall and hurt myself. I felt so guilty for thinking like that,” said Hanna. She first met her two Family Support Workers, Monica and Vicky, after the operation to remove the tumour. They were amazing. We never talked about the fact that I may die, they just made me laugh and gave me my independence back. Having someone to look after me also meant that mum could go back to work. I owe my GCSEs to Monica and Vicky. I don’t think I would have been able to go back to school without their support. I remember getting dressed in my uniform one day and feeling positive about seeing my friends but when I came downstairs, I couldn’t do it. I burst into tears. 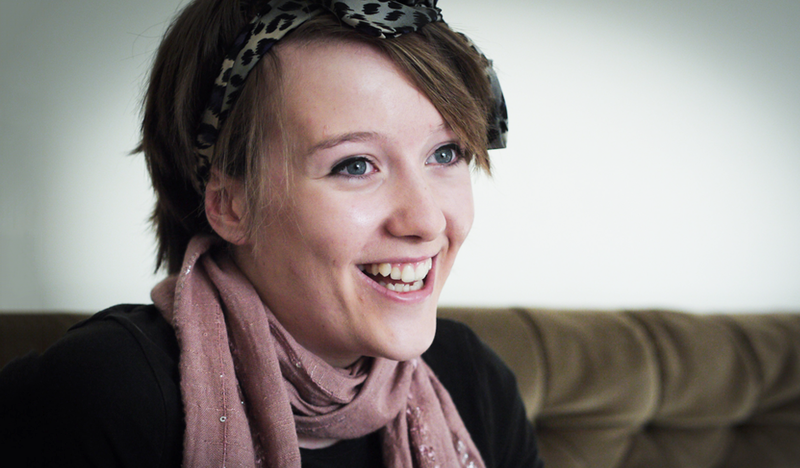 Hanna is now a healthy 21 year old studying towards becoming a children’s nurse. Like many of the children who survived cancer, she wants to give something back to the people and organisations that helped her. “I’ve overcome a lot in my life, having a tumour the size of a rugby ball is just another obstacle that I’ve got through, but I couldn’t have done it without the support of Rainbow Trust. There is always the fear that the cancer might come back, but knowing that Rainbow Trust will always be there if it does, gives me great comfort. Rainbow Trust doesn’t promise to provide answers or cures, just the silent support that many of us take for granted. I know I did before I got sick. Most organisations came to us with a list of things they could help with but Rainbow Trust was different. They asked what help we needed and they provided it. This makes them unique and I will be forever grateful for their support. ​Do you have a child who has a life threatening or terminal illness? We may be able to support you and your family. Get in touch. We are only able to support families through the generosity of people like you. From as little as £3 a month you could help provide a Family Support Worker to a family with a seriously ill child.